How do you wire the (Positive Earth) Powerspark PLUS kit? 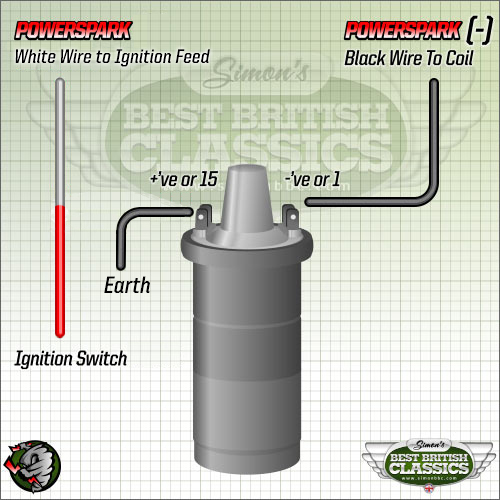 We have a simple two wire installation for the positive earth system with the white wire going directly to the ignition feed before the ignition feed gets to the coil. Do not attach the white wire to the ignition coil, attach it only to the ignition feed wire and simply insulate.